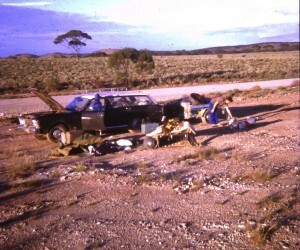 I first crossed the Nullarbor Plain in 1974 with my family in an XW Falcon station wagon towing a trailer behind the wagon. (For family, yes that is me in the red tee shirt at 15 years old, Terri my sister in blue next to David and mother off to the left). This is a long time before fancy camping trailers were on the market. 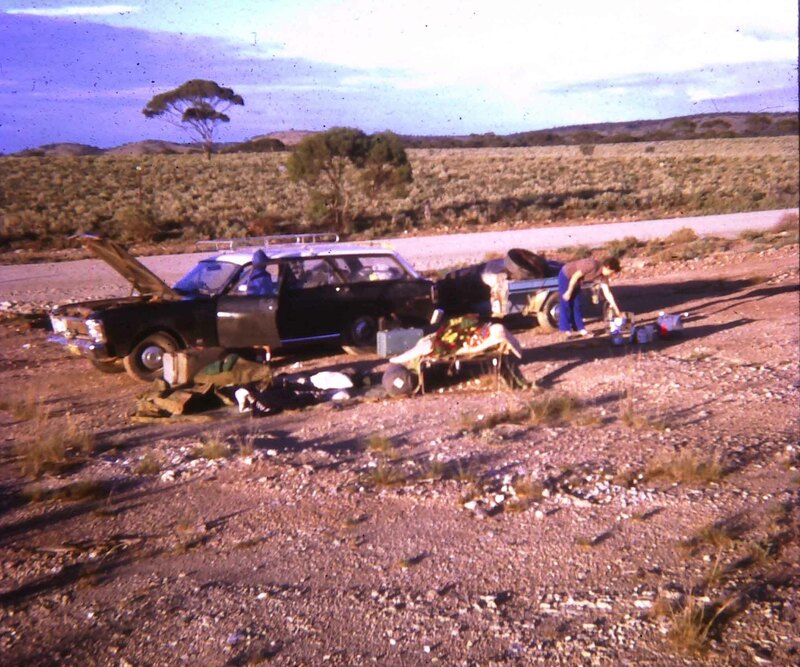 In those years you simply packed everything in a trailer, including spare parts, water and tools and headed off! 4 years later I crossed again staying at Cactus Beach, then 3 years on from this I did a return trip across the Nullabor Plain on a motorbike on a beautiful sealed road. The Eyre Highway is a highway linking Western Australia and South Australia via the Nullarbor Plain. 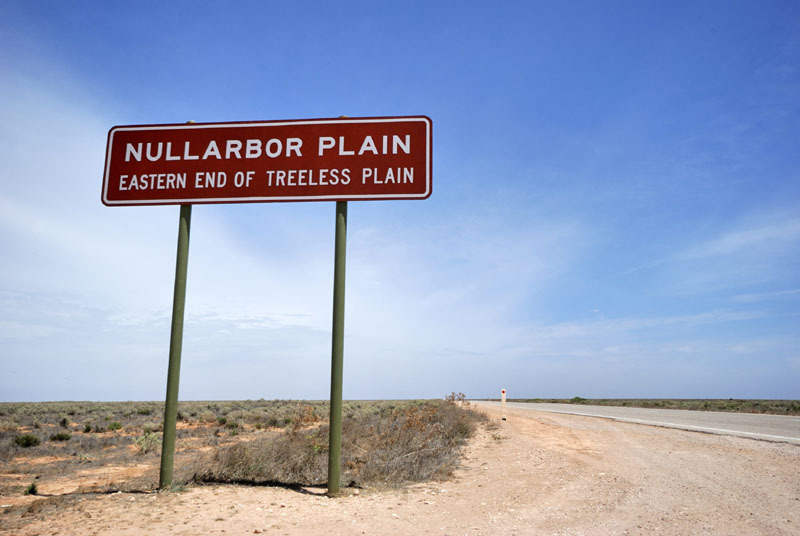 It was not until September 1976 that the final section of the Eyre Highway (across the Nullarbor Plain) was sealed with bitumen. Building a road to link Western Australia with the rest of the Commonwealth had never been a national priority for the federal government. 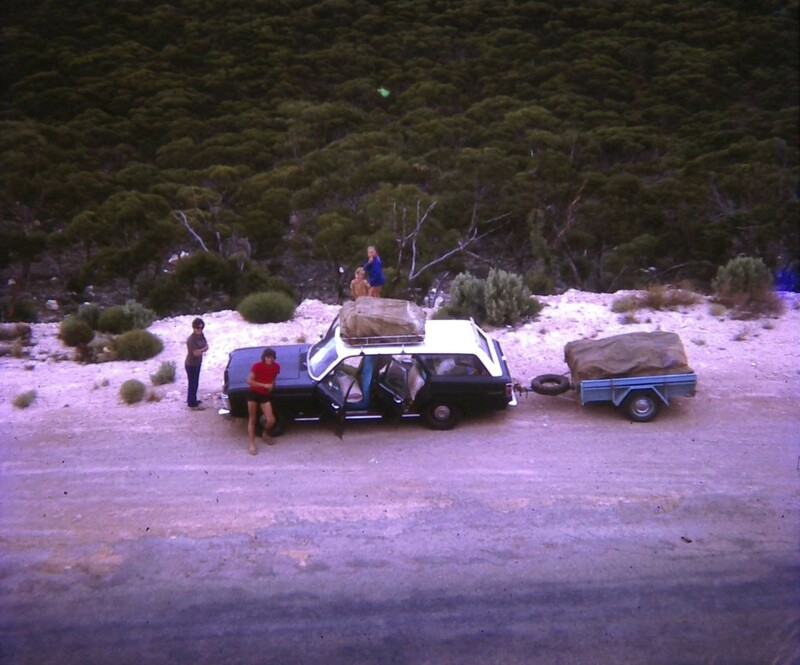 The last 400kms (250 mils) of road between Penong in South Australia and the WA/SA border was sealed in 1976. Often the road consisted of very fine dust (commonly called “Bulldust”) and you couldn’t see the holes until you actually dropped a wheel into them. Overtaking vehicles was hazardous and you could see trucks coming towards from miles away, kicking up huge plumes of dust. There were no recovery vehicles or service stations and many vehicles were wrecked and just left by the roadside. 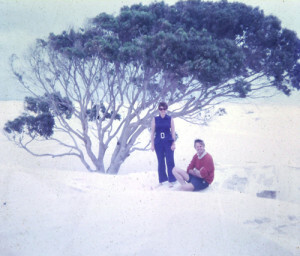 Ours was an uneventful trip in terms of problems as my father carefully planned the trip. No hotels or motels in this crossing we simply camped and cooked on the side of the road. Below is a picture of my mother and father (Ann and Kevin Ewings) near the Eucla Telegraph Station. Eucla is the easternmost locality in Western Australia along the Eyre Highway, approximately 11 kilometres (7 miles) west of the South Australian border. At the 2006 census, Eucla had a population of 86.